What do you do you call it when you take a Smart cover, downsize it enough to fit the iPhone and add a touch of genius to it? 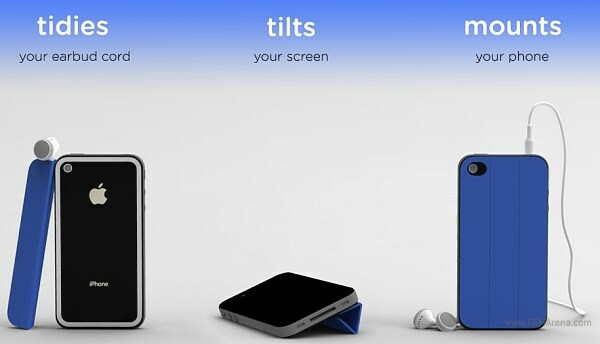 The answer is the latest Kickstarter project, called TidyTilt – one of the best rear covers for your iPhone that you are ever likely to see. TidyTilt serves three different purposes – it can shield the back of your precious smartphone, act as a kickstand or help you keep your headphones or cable neatly organized. Using it does involve attaching a steel frame to the back of your iPhone, but that is supposed to be quite easy to remove if find it to be too much. To get one of those cool babes you can follow the source link below and back the kickstarted project. There are 4 colors to choose from and they only cost $19 a piece with free shipping. International customers need to pay an extra $10 for the shipping, but it still seems like an ok deal, knowing how Apple accessories usually go.